A running injury is common due to repetitive foot strike. 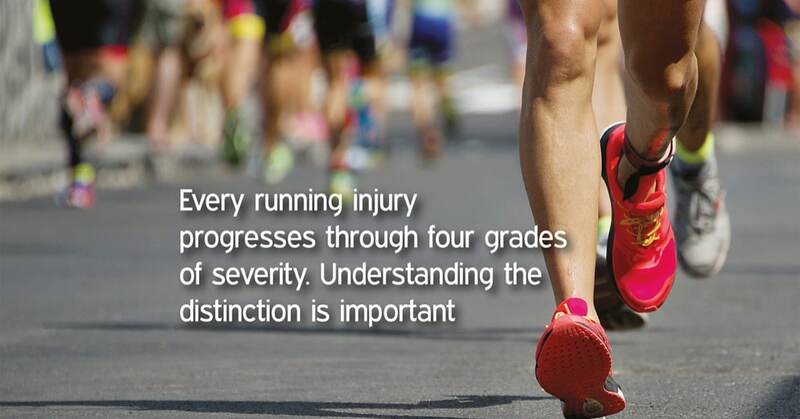 Unless you are unlucky enough to badly sprain your ankle a running injury almost always passes through four stages of severity. These are overuse intrinsic injuries; remember I talked about these in my first blog. Example ……. let’s suppose you are about to get Achilles tendinitis you lucky person! You have been for a run and everything has gone well. However after your shower you notice that the back of your ankle is sore. As a precaution you apply an ice pack for 15 minutes. The following day you are relieved to find that the pain has disappeared so you continue training as usual. Later the same week you notice that your ankle is niggling a bit as you run faster. You wouldn’t call it pain exactly but you are relieved to finish your interval session. At home that evening you apply ice again to ease the soreness that’s come on. Two days later you start a tempo run. There’s no denying your ankle is painful, however it loosens up after the first mile and the pain is bearable so you press on and do half of the run you’d planned. Later that evening you find that you have started to compensate when you walk. Face it, you’re limping. 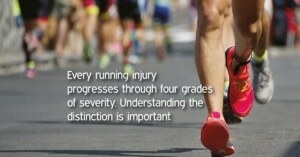 Your therapist will ask you questions about your running injury at your appointment. Answer as descriptively and accurately as you can. This will help her plan your treatment and recovery with you. It will also help you both decide exactly what you can do to maintain fitness. Just because one ankle is not able to run you are not suddenly doomed to becoming a couch potato – there are plenty of options. 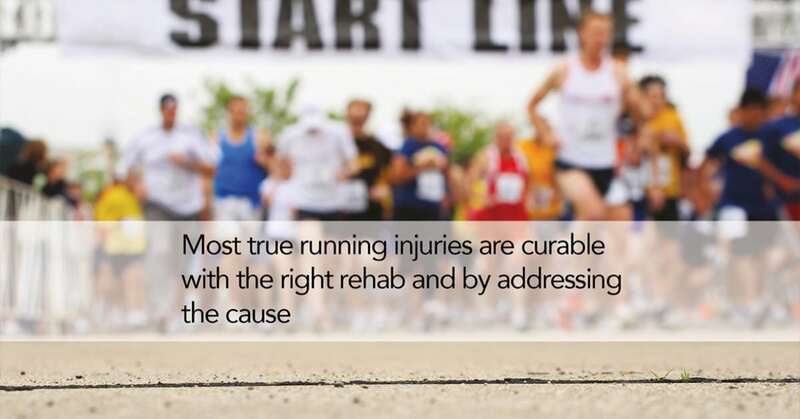 Being a successful runner means being able to manage a running injury realistically. 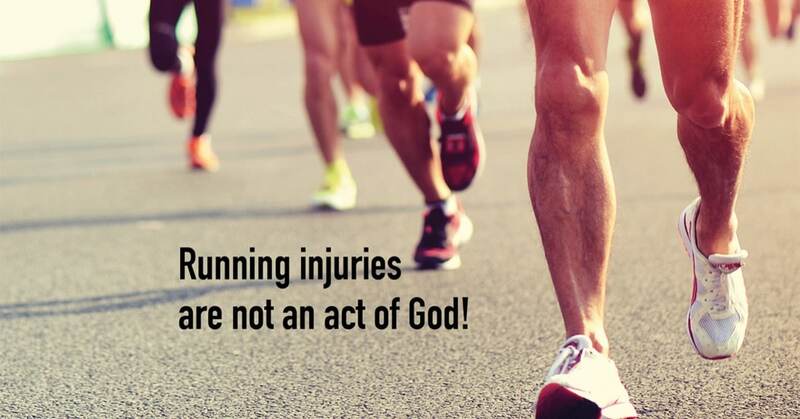 I don’t know any runners who have never been injured. How you cope mentally and handle your rehab defines you both as an athlete and as a person. Your positive and optimistic attitude will help your recovery and be a boon for those around you. Don’t despair even if that important race is only a few weeks away; there will be another opportunity to shine even in the worst case scenario. 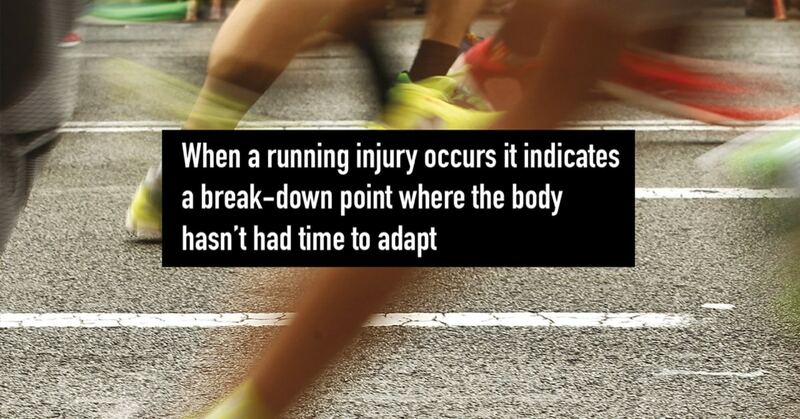 Next time – Each injury indicates a breakdown point. What are these points and why do they happen?